Olivier Assayas, who directed Kristen Stewart’s “Personal Shopper” and “Clouds of Sils Maria,” has come on board to helm the Cuban spy thriller “Wasp Network” from his own script. “Wasp Network” is based on Fernando Morais’ book “The Last Soldiers of the Cold War.” RT Features’ Rodrigo Teixeira will produce alongside CG Cinema’s Charles Gillibert. RT’s Lourenço Sant’Anna and Sophie Mas will executive produce. “Wasp Network” centers on Cuban spies in American territory during the 1990s when anti-Castro groups based in Florida carried out military attacks on Cuba, and the Cuban government struck back with the Wasp Network to infiltrate those organizations. Assayas most recently wrote and directed “Personal Shopper,” which world premiered at last year’s Cannes Film Festival, where Assayas was awarded best director. IFC Films released the film in the U.S. on March 10. Assays also wrote and directed “Clouds of Sils Maria,” starring Stewart and Juliette Binoche. The film had its world premiere at the 2014 Cannes Film Festival. Stewart earned France’s César Award for best supporting actress for her role in the movie — making her the first American actress to earn the honor. Gillibert is a frequent collaborator to Assayas, having produced “Personal Shopper,” “Clouds of Sils Maria,” and “Summer Hours.” CG Cinema is in post-production on Deniz Gamze Ergüven’s “Kings,” starring Halle Berry and Daniel Craig. Assayas is represented by WME and Intertalent while RT Features is represented by CAA. Editors Note: Based on information currently available about this film, it appears certain that any overlap with factual events with be purely accidental. In the 12 months since President Obama publically announced his normalization effort with the communist Castro regime, the White House should have learned two painful lessons. First, the Castro brothers have not and will not change their oppressive ways. Second, the regime’s role as “intelligence trafficker to the world” ensures it will continue seeking opportunities to undermine U.S. national security. The Cuban military and intelligence service will use this rapprochement as a pretext to expand Cuba’s espionage efforts within our borders. One year ago, as a concession to the Castro regime, Obama made the grave mistake of releasing the last three of five incarcerated Cuban spies known as the “Cuban Five.” These five Cuban intelligence agents were arrested by federal authorities in 1998 and subsequently convicted on several counts, including failing to register as a foreign agents, using false identities, and conspiracy to commit espionage. The network’s leader, Gerardo Hernandez, was also convicted of conspiracy to commit murder for his involvement in the shoot down of two U.S. search and rescue aircraft operated by Brothers to the Rescue, which led to the murder of three U.S. citizens and one U.S. legal permanent resident. Cuban Military Intelligence officer Hernandez, head of the espionage ring known as the Wasp Network, was convicted in 2001. 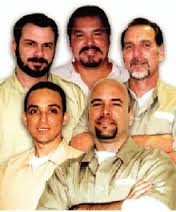 Soon thereafter, the Cubans aggressively aided the San Francisco-based National Committee to Free the Cuban Five. 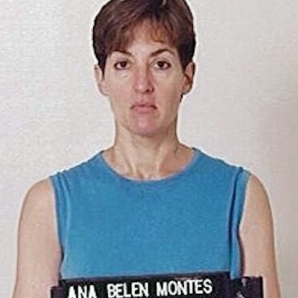 Now, the Cuban regime and their sympathizers are taking similar actions on behalf of Ana Belen Montes. Press reports suggest Washington and Havana are thinking about another spy trade, but this time for Montes, the highest-ranking American ever convicted of spying for Fidel Castro in our history. A senior analyst at the Defense Intelligence Agency, Montes was arrested on September 21, 2001, just ten days after September 11. She later pled guilty to spying and was sentenced to a 25-year prison term. The timing of her arrest was based on the fact that the U.S. government did not want a spy in the Pentagon to endanger American combatants headed to Afghanistan. Montes had learned of military plans for our operations in Afghanistan and we did not want her to pass along that information to our adversaries. For several years during the latter half of the 1980s, she routinely provided Cuba with information on El Salvador’s Armed Forces and its embedded U.S. advisors. In a notorious March 1987 incident, a major Salvadoran base was attacked mere weeks after Montes visited it. Sixty-eight Salvadoran soldiers and their Green Beret adviser were killed during the battle. Simply put, Montes probably has the blood of one American on her hands and the U.S. didn’t want to risk the lives of untold Americans, including American service men and women. The Five with the Kimbers: From left, Antonio, Fernando, Gerardo, Stephen, Jeanie, René and Ramon. Halifax: December 17, 2014 Inside the second-floor King’s College boardroom, close to a dozen of us huddled around a meeting table, wake-up coffees in hand, listening while our university’s director of finance walked us through her PowerPoint presentation of bad news we already knew, but in far more excruciating detail than any of us wanted to know. My iPhone was ringing! Worse, the phone was in my backpack. Worst, my backpack was on a chair on the other side of the room. Embarrassed, I scrambled to find it. My ringtone was the chorus from one of my hip-hop-musician son’s songs. Why not? Samsung thought the song’s lyrics so phone-perfect they’d built a slick, Hollywood-style video around them to advertise their Galaxy 4 phone. Normally, I found a way to work that father-brag into any conversation when my phone rang. But this did not seem the time or place. And hear your voice. And watch you talk. And smell the breeze as you come across. Several spies, collectively known as the “Cuban Five,” have been hosted and toasted before adoring socialist crowds around the world for several months. Decorated with much fanfare in Havana, these over-hyped “Heroes of the Revolution” are the latest circus performers in Havana’s theater of the absurd. You see, in reality, the “Five” have been put out to pasture. “Golden Exile” you might say. Members of the Wasp Network, they were five of an estimated 42 spies in the largest espionage ring ever known to have operated in the United States. A rare joint venture between Havana’s civilian and military intelligence services, it was led by Cuba’s Directorate of Military Intelligence (DIM). Its primary targets were the Pentagon’s regional headquarters responsible for military operations in the Americas (SOUTHCOM) and the Middle East (CENTCOM), as well as US special operations worldwide (SOCOM). In a massive sweep stretching 152 miles, the FBI arrested 10 of the spies in September 1998. Seven more Wasps were arrested or expelled over the next several years. Many of those arrested accepted plea agreements and turned against their masters in Havana. The “Five” held fast and were found guilty of espionage associated-crimes. Career DIM case officer Gerardo Hernandez, the former head of the deadly network, was sentenced to two life terms for conspiracy to commit murder in the February 1996 deaths of four Americans. Once convicted, the regime could ill-afford for its lethal cabal to switch sides like their subordinates. The destitute island invested considerable monies to sustain their morale with family visits and a never-ending parade of diplomats from the (then) Cuban Interests Section in Washington and the Cuban Mission to the United Nations. A global propaganda campaign known as “Free the Five” was initiated. During the secret talks to restore diplomatic ties, the United States even helped artificially inseminate Adriana Perez, the spy-wife of incarcerated killer, Gerardo Hernandez. The effort, which tragically misguided Obama officials saw as a goodwill gesture, was prompted by Perez’s personal appeal to Senator Patrick Leahy (D-Vt), who passed the request to White House officials. But to the ever cynical regime, its “heroes” are now little more than famous liabilities. Moscow’s KGB long ago taught its Cuban allies that incarcerated spies can never again be trusted. The leftist dictatorship sees its freed spies as failures. After all, three were spy-handlers (“Case Officers”). Theoretically the best of the best, it was their mistakes – or that of their underlings – that had attracted the attention of US spy-catchers. Despite the propaganda mission of the “Felonious Five,” there is an important lesson for America to learn. Given Havana’s extraordinary investment in five men who meant nothing to it — imagine what it can accomplish when it truly cares. The Prensa Latina (PRELA) news agency – a long-time Cuban Intelligence collaborator – announced earlier today that the Alianza Martiana announced plans for a Sunday forum demanding the immediate release of Havana’s three remaining incarcerated spies. The two intelligence officers — Gerardo Hernandez and Ramón Labañino — as well as their agent, Antonio Guerrero — were part of the Wasp Network, a vast espionage operation run jointly by the Directorate of Intelligence (DI) and the highly secretive Directorate of Military Intelligence (DIM). The spy ring’s main focus was US military targets from Key West, Florida to northwestern Louisiana. Alianza Martiana planners also intend to again bemoan Cuba’s alleged difficulty in working with US banks and call on President Obama to end the US embargo. Held in central Miami, the gathering has become a quarterly event of South Florida’s tiny but vocal community of pro-Castro supporters. Cubans marked out as dissidents say it is nearly impossible to find work because of state controls over all areas of employment. For decades, the Cuban state was the sole employer, and despite recent reforms allowing for limited private enterprise known as “cuentapropismo”, getting an operating license still entails vetting by the authorities. Renato Olazábal was designated a “counterrevolutionary” after an unsuccessful attempt to escape to the United States on a “balsa” or home-made raft in 2006. Olazábal, a 38-year-old English graduate, said that afterwards, he found it next to impossible to find work, and was turned down for five public-sector jobs. He said that even when candidates fulfilled the criteria for a particular job, they still had to be cleared by State Security and Military Intelligence before being offered the job. The vetting process involves quizzing candidates’ neighbours about their political views, and enquiries among local officials from Committees for Defence of the Revolution – a nationwide neighbourhood surveillance network – the Communist Party, the armed forces and the interior ministry. “They are very interested in whether you’ve taken part in elections, the May 1 parade and things like that,” Olazábal said. “Also, they ask people whether they consider you to be a revolutionary or not.” Olazábal now supports his family by selling handicrafts, risking prosecution since he does not have a trader’s license. Independent journalist and veteran opposition member, José Fornaris, says the job market is part of a police state. The government is “the owner of businesses, factories, institutions – of every type of employment in general,” he said. “For people to exercise their right to work and maintain their dignity, they have to submit to the conditions and blackmail of the regime.” After Fornaris joined the Cuban Committee for Human Rights in 1988, official harassment forced him to leave his work as a journalist and presenter at the National Radio Progreso station. After being cleared of the accusations, Fornaris became a leading voice within the opposition movement. He recalled being contacted by a Cuban security officer known as “Sol”, whose job was to monitor staff at the Cuban Institute for Radio and Television. The officer promised to get him reinstated at Radio Progreso, and later a promotion to a managerial job in the institute. The price was that Fornaris should abandon his political activities and collaborate with the regime. He turned the offer down. He recounts the story as an clear example of “the extent to which the intelligence agencies are involved in making decisions about who is suitable to work in this country”. After the laws on private business were relaxed, Fornaris applied for a “cuentapropista” license to sell second-hand books. The official handling his application assured him the license would be issued quickly, as this type of permit was not often requested. When his application was rejected, the official was surprised, embarrassed and unable to offer a logical explanation as to why it had happened, Fornaris recalled. Fornaris now heads the Association for Freedom of Press, an organisation which is not recognised by the government and which aims to help improve journalism and promote media freedom in Cuba. Osniel Carmona Breijo is an independent journalist reporting from Havana and Mayabeque province. (Prensa Latina) The Cuban Ministry of Foreign Affairs denied some statements by the U.S. government on the alleged impossibility of its officials to leave the capital due to “reciprocal travel restrictions” that would oblige Washington to respond accordingly. The U.S. Interests Section (USINT) in Havana invariably receives permissions to travel outside the capital to visit prisoners from the United States and naturalized Cuban, who comply with sanction anywhere in Cuba, Director for United States affairs at Cuban Ministry of Foreign Affairs Josefina Vidal said here. Vidal said in a statement that in recent months, U.S. officials, including the head of USINT, have had consular access in the provinces of Matanzas, Artemisa, Mayabeque, Ciego de Avila, and Camaguey, located in the island’s western and central regions. “We do not know on what reciprocity we are talking about , because all travel permissions for the USINT consular visits have been authorized without exception,” she warned. On Wednesday, the Cuban Ministry of Foreign Affairs denounced that Washington repeatedly denied consular access to Rene Gonzalez, one of the five antiterrorist fighters of the island unjustly held in that northern country. Following that statement, a State Department official admitted to the Spanish agency EFE -on condition of anonymity- such actions, and attributed it to the fact that “the Cubans do not allow us to travel outside Havana without prior permission, so we respond with the same restriction here.” He further stated that Rene Gonzalez can travel to Washington to meet with Cuban officials if those responsible for his supervised release allow it. About this issue, Vidal explained that U.S. authorities have refused the anti-terrorist fighter recent applications to go outside the area where he complies with the additional punishment, which keeps him unjustly away from his wife. The leadership of the Cuban Ministry of Foreign Affairs confirmed the complaint for the impossibility that Rene receives consular visits since September 2012, in violation of the U.S. obligations to the Vienna Convention on this point. The antiterrorist fighter was detained in 1998 along with Gerardo Hernandez, Antonio Guerrero, Fernando González and Ramon Labañino for monitoring violent groups based in Miami that were planning terrorist actions against Cuba similar to those that have left more than 3,400 victims and 2,000 injured. In October 2011, after completing his prison term, Rene was forced to remain in the United States under supervised release for three years, which activists, human rights organizatioms (sic), and lawyers consider it an additional punishment. Editor’s Note: Josefina Vidal left the US in May 2003 in conjunction with the expulsion of 14 Cuban spies serving under diplomatic cover. I was 5 years old and strapped to a tall pole across from my 3-year-old sister. The pole, a mast for a sail that was never very useful, was in the center of a raft being thrown about the Florida Straits. I don’t remember the nights, but I’m told they were so dark my mother, sitting between us, could not see us, but only feel us. I don’t remember being wet or cold, but my parents tell me the waves rolling over us were about 20 feet high. I don’t remember the sun, but after four days at sea, my skin was two shades darker than what most women would pay for at a tanning salon. If there were a soundtrack to my life, Willy Chirino’s Nuestro Día (Our Day) would be one of the first songs on the album. The first two verses always bring tears to my eyes and remind me of the danger my family was in when Brothers to the Rescue saved our lives. Brothers to the Rescue is the organization whose pilots kept a watchful, protective eye for rafters making the perilous journey from Cuba to freedom. It was 17 years ago today that four of them were ambushed in the sky and killed by Cuban MiGs. Tired of living in a country where he was persecuted for uttering disapproval of the government’s hateful policies and tactics, my father, then 25 years old, decided it was time to leave. My mother refused to stay behind with two young girls and no future. So after hiding in a military neighborhood for most of the summer of 1992 — and six days after Hurricane Andrew had destroyed Homestead — my family left Cuba. We left just before dawn through the middle of Varadero, a popular, and hence heavily patrolled, beach. We left on a raft engineered and built by my father with the help of a few other men who left with us. There were nine of us — although it nearly became 10. My parents tell me that a drunk who was walking the beach helped push the raft away from the shore, then begged to come with us. But our food and water supplies were carefully rationed for nine. Our vessel, if you could call it that, was full. I remember only snippets of that night. Mostly, I recall darkness, tall grass, running on the sand, and my little sister crying while my mother tried desperately to keep her quiet. Though it was four days and two more nights before we were spotted by Brothers to the Rescue, the next thing I remember is eating delicious pastelitos. A creative humanitarian in that plane fashioned a parachute, out of a cardboard box filled with Cuban pastries from Miami, and tied it to an actual message in a bottle. The sweet parachute fell to the water and bobbed around just close enough for someone in our party to reach. My mother recalls it was the first food in almost a week that my sister and I were able to keep down. The “bottle,” a clear plastic jar with a white sticker and bold red letters that read: “Hermanos Al Rescate” — Brothers to the Rescue — held a message that had my sister and I standing and waving excitedly up at the sky: “Don’t despair. God is with you and the U.S. Coast Guard is on its way from Key West.” I am now 26, and that plastic jar has had a place of honor in our family’s kitchen for over 20 years. Today it is filled with coffee beans my aunt sent from Cuba when she heard we were alive and safe. Since Feb. 24, 1996, these memories are tinged by sadness. That is the day I heard that two Brothers to the Rescue planes had been shot out of the sky by Cuban military planes. As a 9-year-old child, I don’t think I understood what was going on. All I knew then of Brothers to the Rescue was that we had one of their bottles in our kitchen, and that they had sent us delicious pastries when we couldn’t keep down the tinned spam my mother had tried feeding us on that raft. Today I am a young Cuban-American about to graduate from law school. When I see the plastic jar, I think of those men who died in the shootdown and wonder if they could have been the same pilots involved in my own family’s rescue. I may not have known them personally, but they have my eternal respect: Carlos Costa, Armando Alejandre Jr., Mario de la Peña, and Pablo Morales. WASHINGTON — High-level US diplomats have concluded that Cuba should no longer be designated a state sponsor of terrorism, raising the prospect that Secretary of State John F. Kerry could remove a major obstacle to restoring relations with the Cold War-era foe, government officials said. Cuba no longer actively supports terrorist groups such as the Revolutionary Armed Forces of Colombia, known as the FARC, or former members of Spain’s Basque Fatherland and Liberty, also known as the ETA, according to State Department findings. And interviews with a series of top administration officials and members of Congress indicate there is a growing consensus in policy and intelligence circles that Cuba’s support for terrorist groups has been terminated and the country should be removed from the list — much like the George W. Bush administration did with North Korea in 2008. Kerry has met in recent days with officials to review the Cuba policy. The pressure to de-list Cuba as a terrorism sponsor comes as a bipartisan congressional delegation traveled to Cuba this week to discuss how the two estranged nations might find ways to lift a US embargo in place for five decades and cooperate on a host of economic, agricultural, and security matters. But the delegation, which included Representative James P. McGovern of Worcester, left Cuba on Wednesday after failing in its immediate goal: to win the release of an American prisoner, Alan Gross. The nearly four-year standoff over Gross is among a number of matters holding up efforts to improve relations. But despite that failure, the meetings were constructive, and the tone promising, McGovern said in a phone interview, after meeting with President Raul Castro in Havana on Tuesday. “They are interested in improving relations because it is in their interest. I feel they are really interested in sitting down and engaging, where everything is on the table — the embargo, the travel restrictions, migration, everything,” McGovern said. The Gross case, he said, can be resolved, but it is “going to take some negotiations.” Gross is an American contractor who was arrested in 2009 while providing communications technology to Cuba’s Jewish community as part of a US-financed democracy-building program. A major impediment to normalizing relations with Cuba, according to McGovern and others, is that Cuba has been listed by the State Department each year since 1982 as a sponsor of terrorist groups. Yet that is a view no longer held by a number of senior US officials. Even North Korea, which the Obama administration has criticized for conducting nuclear tests and making threatening comments toward the United States, is not listed as a terrorism sponsor. That contrast is one reason for calls within the State Department to consider taking Cuba off the list. “There is a pretty clear case . . . that they don’t really meet the standard anymore,” said a senior administration official with direct knowledge regarding US-Cuba policy who was not authorized to speak publicly. “They have neither the wherewithal nor are they doing much.” In addition to Cuba, the list of terrorist sponsors includes Syria, Sudan, and Iran. Inclusion imposes strict sanctions. For example, it prohibits the United States from selling arms, providing economic assistance, and restricts financial transactions between citizens. Countries that were removed from the list in recent years include North Korea, Libya, and Iraq. The United States initially cut off diplomatic relations in 1961, and later put in place a trade embargo. Cuba served as a satellite for the Soviet Union and flash point of the Cold War, most famously in 1962 when Russia placed nuclear missiles on the island. The Cuban government also armed and trained Marxist revolutionaries across Latin America and Africa during the 1970s and 1980s. US officials emphasized that there has not been a formal assessment concluding that Cuba should be removed from the terrorism list and said serious obstacles remain to a better relationship, especially the imprisonment of Gross. Cuba has said it would release the 63-year-old in exchange for the so-called Cuban Five, convicted Cuban intelligence operatives being held by the United States. The Obama administration, however, has publicly refused to entertain such a trade, and officials said there is unlikely to be significant improvement in the relationship until Gross is released. But Kerry, who played a key role in normalizing relations with communist Vietnam in the early 1990s, is seen as particularly receptive to new ways to change a relationship many believe to be a relic of the Cold War. Recalling his work on Vietnam, Kerry published an article in 2009 in the St. Petersburg Times in Florida, where the Cuba issue remains politically charged. His article called for a lifting of all travel restrictions. The result of normalized relations with Vietnam has produced a former foe “that is less isolated, more market-oriented, and, yes, freer. . . . Yet when it comes to a small impoverished island 90 miles off the coast of Florida, we cling to a policy that has manifestly failed for nearly 50 years. “While our Cuba policy has largely stood still, reality has changed dramatically. Today, the Cuban “threat” is a faint shadow, change is afoot in the Cuban leadership, and — importantly — Cuban-Americans increasingly seek broad, far-reaching interaction across the Florida Straits,” Kerry wrote. As chairman of the Senate Foreign Relations Committee in 2011, Kerry also temporarily held up US funding for the democracy-building programs in Cuba, similar to the one Gross was associated with, out of concern that they were not effective and unnecessarily confrontational. Editor’s Note: In February 1996, the Castro government murdered four Americans in international airspace over the Straits of Florida. The intelligence component of the mission — codenamed Operation Scorpion — was executed by the Wasp Network, a massive spy ring which spread from Key West north to New York City and then west to Louisiana and Mexico City. The Wasp Network was run by the Directorate of Intelligence (DI) in partnership with the Directorate of Military Intelligence (DIM). All aspects of the downing of the two unarmed civilian aircraft were personally approved by both Raul and Fidel Castro. The primary mission and target of Cuban Intelligence is incorrect. The number of Cuban operations known to have been destroyed/degraded by US Counterintelligence is grossly understated. In reality, the primary target of the Castro regime’s intelligence services are the Cuban people. The core mission of its five-service Intelligence Community remains regime protection. Maintaining domestic stability in support of government continuity is the overriding concern. This is consistent with other totalitarian regimes and characterized by its two Counterintelligence services dominating the manpower of Cuba’s Intelligence Community. The collection of intelligence on foreign enemies has remained second to domestic control and monitoring of the Cuban people. Historically, Castro’s foreign intelligence services focused on the collection of intelligence on foreign enemies. Throughout the Cold War, these services were also viewed as primary tools “to export the Revolution.” Currently, the United States is the regime’s sole foreign target. According to defector Juan Antonio Rodriguez Menier, the General Directorate of Counterintelligence (DGCI) [now called simply the Directorate of Counterintelligence (DCI)], has remained the most important intelligence service in revolutionary Cuba. According to the Library of Congress, at its peak, the DGCI/DCI numbered 20,000 personnel. However, as the Castro regime consolidated its domestic controls, the DGCI/DCI drew down. At the time of Rodriguez Menier’s 1987 defection, its manpower had declined to roughly 3,000 personnel. Likewise, during the Cold War, the Cuban Military’s Counterintelligence service (CIM) was reportedly as large as the DGCI/DCI. However, during the 1990s, armed forces manning was slashed by an estimated 53 percent. This likely led to similar manpower cuts in the CIM. Despite these losses, according to defectors and émigrés, the CIM still reportedly numbers several thousand personnel. In stark contrast to Havana’s robust Counterintelligence organizations, its three foreign intelligence services, the Directorate of Intelligence (DI), the Directorate of Military Intelligence (DIM), and the intelligence wing of the Cuban Communist Party number less than 3,300 total personnel. Latell’s error has been to focus overwhelmingly on the DI, rather than examine Cuba’s entire “intelligence machine.” Additionally, his research is further undermined by excessive reliance of DI defectors. The US has been blessed with an abundance of Cuban defectors and émigrés, many of which can and have provided ample insights into the inner workings of regime intelligence. This information is further enhanced by intelligence provided by defectors from Cuba’s Cold War allies. Successful US Counterintelligence investigations and operations have also produced a veritable treasure trove of information on Havana’s “intelligence machine.” For example, government holdings from the Wasp Network alone are said to number roughly 100,000 pages. Brian Latell has devoted his life to providing valuable insights into regime dynamics in general and the Castro brothers in particular. That said, when it comes to Cuba’s spy services, I fear he has stepped outside his realm of expertise.